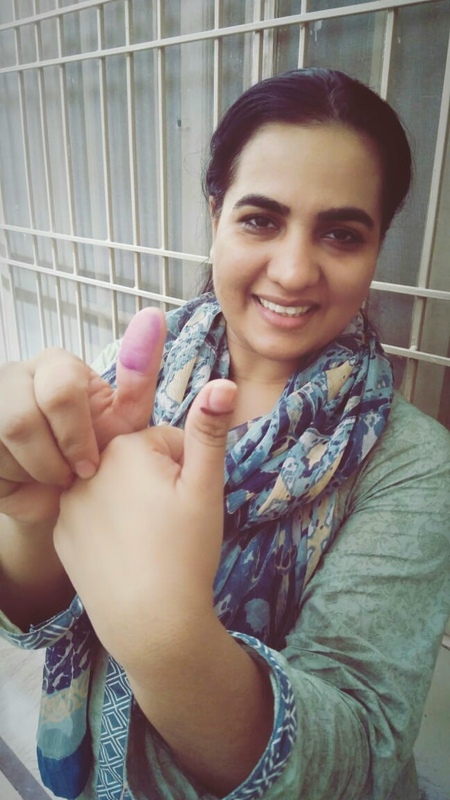 As we publish this, there are only a few hours to go before Pakistan’s closes the ballots for today’s election. After 7 decades of altering between democracy and military rule, this is the second consecutive time that we have a democratic transition instead of a coup. But don’t get us wrong, we are not here to sugarcoat things. In Pakistani politics, things get messy. It’s a bit like Game of Thrones meets House of Cards. There are more than 30 political parties and 12,570 candidates are in the running to sway close to 106 million registered voters, who will elect both the national and four provincial assemblies. However, this election is essentially a race between the Tehreek-e-Insaf (PTI), led by Cricket star turned pragmatic reform-minded politician Imran Khan and the Pakistan Muslim League-Nawaz (PLMN), led by the former, now incarcerated prime minister’s brother Shehbaz Sharif. Also in the running is Bilawal Bhutto Zardari, the 29-year old son of the late Benazir Bhutto and former president Asif Zardari. Bilawal is running for prime minister while his father presides over the candidate's party, the PPP - Pakistan Peoples Party. There is talk that the military is again playing a hand at influencing the allegiances between the rather crowded and somewhat confusing electoral ballot. The BBC even warns of a ‘creeping coup’. In any case, the military is never far away as it is playing a key role in keeper order during the voting process. There is more about all this in this recent article which should equip you to be able to hold more than just a casual conversation about Pakistan’s politics. From the way things look on election day, whoever winds up winning will most likely have to set up a ruling coalition. As investors, we are hoping not to wind up with a hung parliament. It matters because the economy has been in a tight spot recently and what we need right now is governance, especially now that the macroeconomic environment has been challenging for the country, resulting in widening trade and budget deficits. So, why is Pakistan still important as an investment destination, despite all the recent gloom and political vaudeville? When we see Pakistan, we see a fairly well developed financial market that rides on promising long-term fundamentals that we find hard to ignore. With just over 200 million people, it is currently the 5th most populous country in the world. For many people, this kind of situation is seen as problematic but as investors, what we are mostly interested in is how these numbers can translate into the rise of millions of consumers that local businesses can thrive on. An effective way to get an initial view on the prospects for middle-class formation is by looking at GDP/capita. adjusted for purchasing power parity (PPP). With Pakistan, it has been steadily rising and currently lies at just over 5,000. When we put it in perspective with its Asian peers, Pakistan is in the same GDP/Capita neighborhood as India and Vietnam, so from an economic point of view, it is a similar opportunity. However, the reality is that investors have become quite comfortable with India and Vietnam. If you consider that Pakistan is trading at a generous discount, it certainly deserves a closer look beyond the political headlines. So that is the big picture. If we zoom in a bit more into recent market developments, Pakistan has been under pressure recently as it succumbed to selling pressure from international investors amidst rising worries of economic and political instability. During the last quarter, the Pakistani Rupee (PKR) suffered another round of depreciation, falling 5% versus the USD while interest rates were hiked by another 50 bps in an attempt to prevent a further slide and to stem off inflationary pressures. The benchmark KSE 100 Index fell by 10.1% during the period. The surge in thermal coal prices amplified the effect of the falling currency and caused a deterioration of the earnings outlook for the Pakistani cement sector which has been already penalized by a decline in infrastructure related demand. The way we are positioned in this market is by holding a handful of companies such as cement producers, financial institutions, food, and fertilizer producers. Our strategy is to capture the long-term themes of ongoing infrastructure spending and the rising consumer base at attractive valuations. We are taking an active bet on the country as our allocation to Pakistan is currently just under 8% in our Frontier Markets strategy. The good news is that the bad news already seems to be priced in. We’ve seen how our holdings, despite all the negative newsflow, have held up relatively well recently. In other words, we are starting to see evidence that recent price-action is showing us is that most of the negativity may already be priced in. Finally, there is another major factor that investors need to keep an eye on in the medium- to long-term: Pakistan’s strategic geographic location. For the past decades, this was always a card that the country was able to play to its advantage. When the US had to find a way to supply it’s military operations in Afghanistan, the only way to access that war theatre was via Pakistan because Iran, India and Russia’s CIS weren’t exactly on the best of terms with ‘the Land of the Free’. And even though Pakistan may always be playing ‘hard to get’, its border with China is a precious asset in the One Belt One Road (OBOR) strategy upon which China is building its world dominance. It is the perfect corridor that would give mainland China direct access to the shores of the Middle East. That is why it comes as no surprise that relations between both countries have been warming up. In February, Beijing offered a US 500 million loan to Pakistan through the Industrial and Commercial Bank of China to support Pakistan’s diminishing foreign currency reserves and to boost its economy. In addition, Pakistan’s Central Bank chose to replace the US dollar with the Chinese Yuan for all the bilateral and investment activities including the China Pakistan Economic Corridor (CPEC) projects, estimated around USD 50 billion. While many investors are focused on Pakistan’s relationship with the IMF, China may well become its main banker. The main difference is that this rising power doesn’t exactly see its financial assistance as a loan but rather as a strategic investment into a long-term partnership resulting in a win-win deal for both countries. This obviously spells the potential for ongoing infrastructure spending and all its positive effects on the local economy.